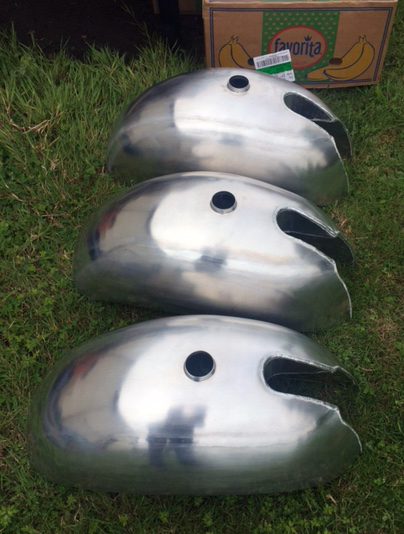 Fuel tanks on the Egli-Vincents delivered by Fritz Egli and those of the early machines assembled by Roger Slater in the UK were all made of fiberglass, a material that does not withstand well modern fuels containing alcohol, melting over time the resin… not good! 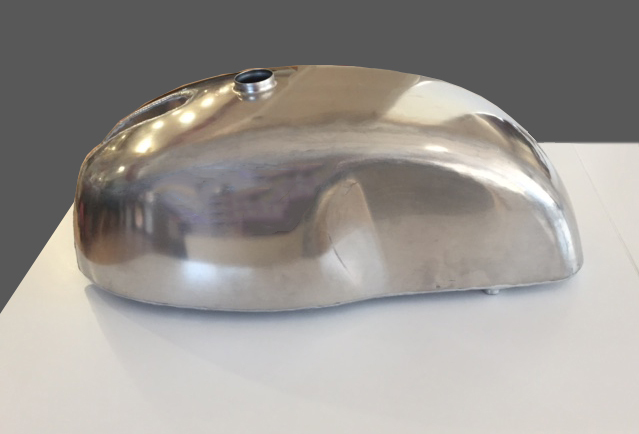 Aluminum replacements for Eglis are difficult to find and there is not much choice for the shape (unless you make it yourself): it is either the traditional Lyta that was broadly used by Slater on the Shadow 70 or the “Banana” model that Colin Taylor has been providing for several years. 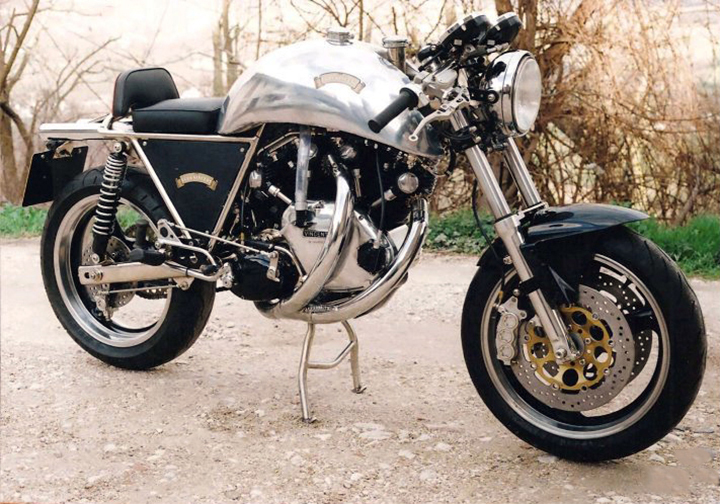 Here is the “New Zealander” for Egli-Vincents, made by Colin Taylor. Looking forward to see it on a bike!